Minor damage to your vehicle can be an annoyance, ruining an otherwise attractive appearance. Key marks, rock chips, scratches and dents can be easily fixed to restore your vehicle back to immaculate condition. The bumper of your vehicle is your first line of defence, designed to absorb the impact of a low-speed accident. Even minor damage can alter the deployment of your air bag and jeopardise the safety of the occupants the next time you’re in an accident. Not all bumper repairs require a replacement bumper. Our experienced factory trained technicians can assess the damage to ascertain if a bumper repair is possible, significantly lowering the cost of repair. Repairing a fender involves a detailed inspection of the area to assess the damage. To correctly repair your vehicle and make it safe for you on the road, it’s necessary to plan the best repair options for you by completing a thorough inspection of the area. Damage on the surface may look minor but an examination once parts have been removed may discover more damage underneath. Once a plan is in place, our technicians can restore the shape and finish of the fender and have your vehicle backs it’s pristine, showroom finish. Paint protects your car from rust and stops the metal from deteriorating fast. 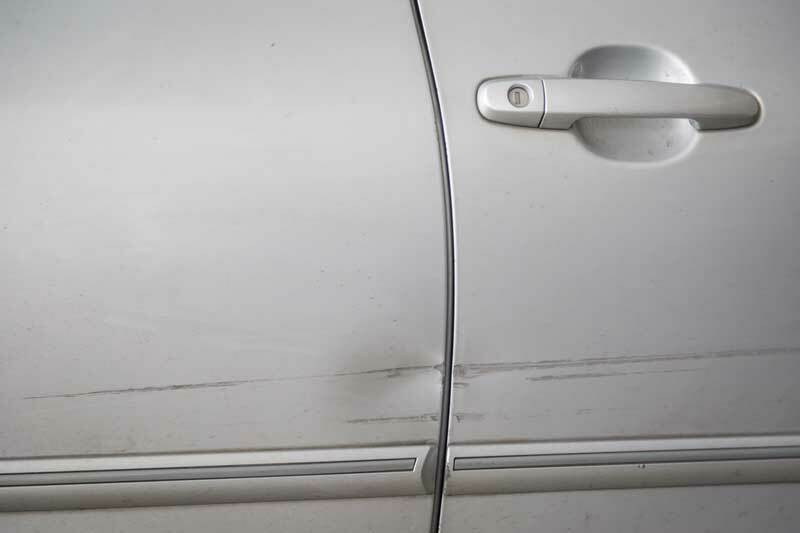 Even minor scratches can cause more severe problems the longer they are left before repair. A quick touch up is an easy fix but can leave a noticeable repair to your finish, detracting from otherwise faultless exterior. Our professional technicians at Magnum Collision Center can fix minor paint damage so that blemishes disappear, leaving a invisible repair to your vehicle. We work with all insurance companies to provide you with a hassle-free experience for your vehicle repair. Being in an accident is stressful enough, even minor damage takes time out of your day to organise the repair process. Let us help you. We will manage the negotiation with your insurance company so that you can get on with your day.